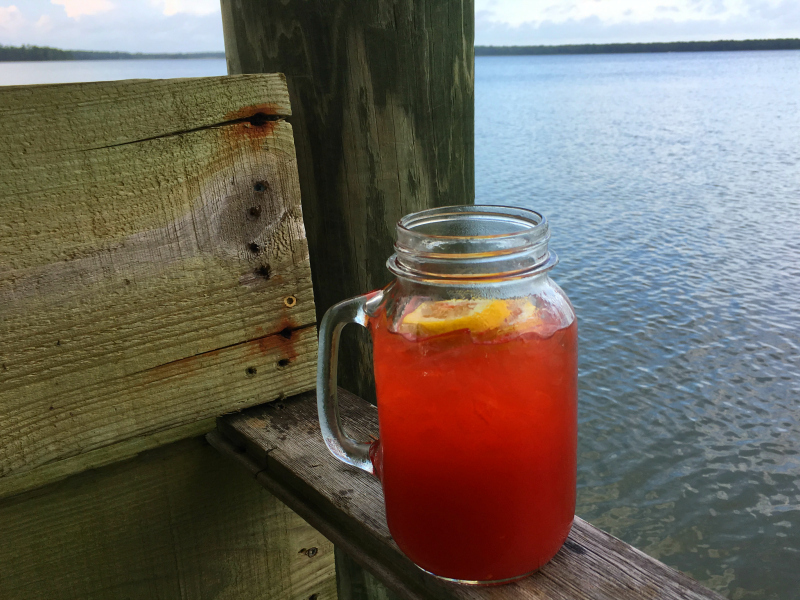 If you happen to find yourself on vacation in Alabama, you’re pretty well required to have the state signature cocktail, the Alabama Slammer! 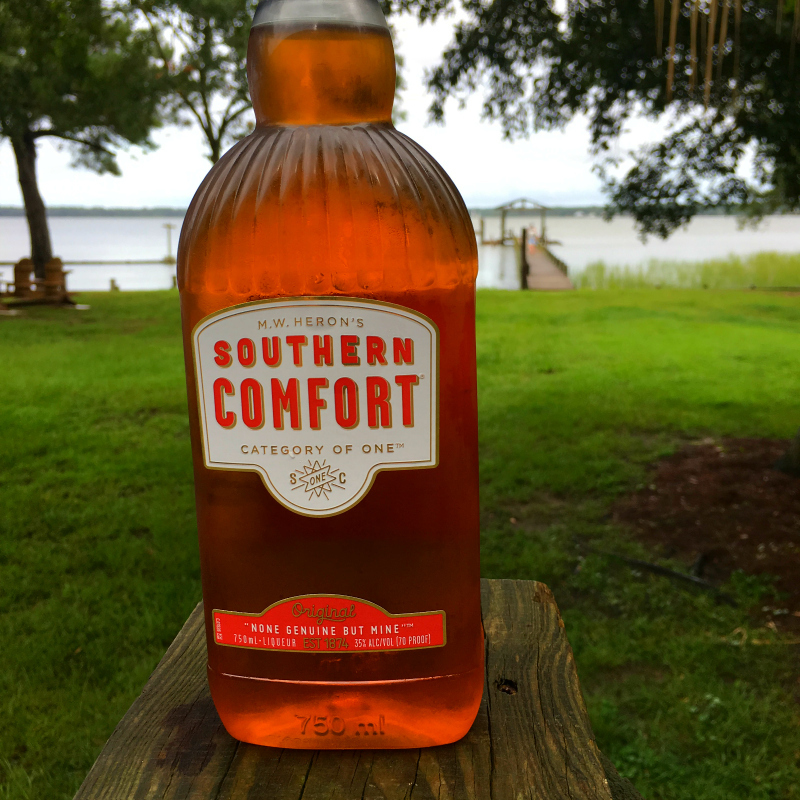 It’s easy to mix and even easier to drink on a hot Southern summer day! 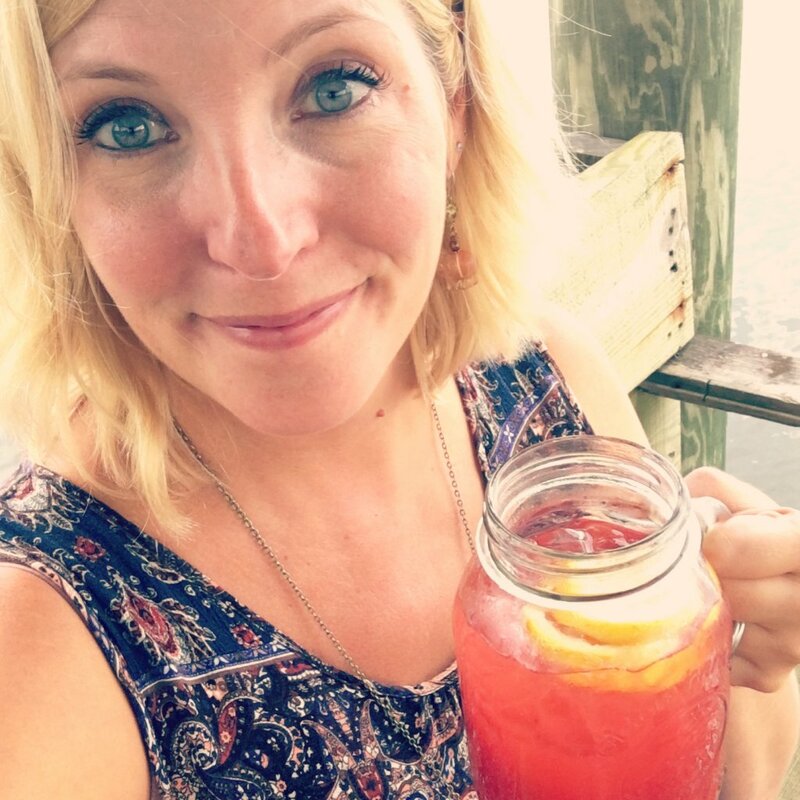 Enjoying my Alabama Slammer on an Alabama dock! 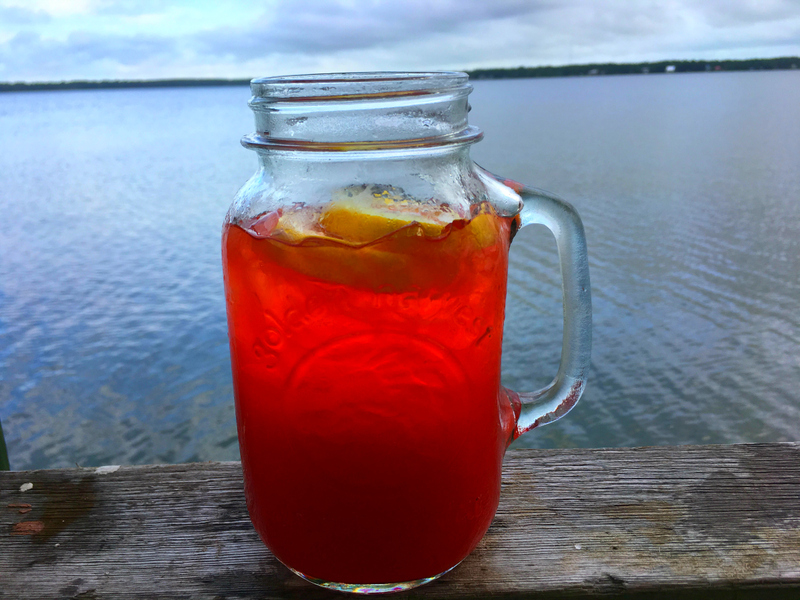 Southerners are known for their sweet-tea-style drinks and the Alabama Slammer cocktail reminds me of a Long Island Iced Tea – sweet and fruity but not too boozy tasting! 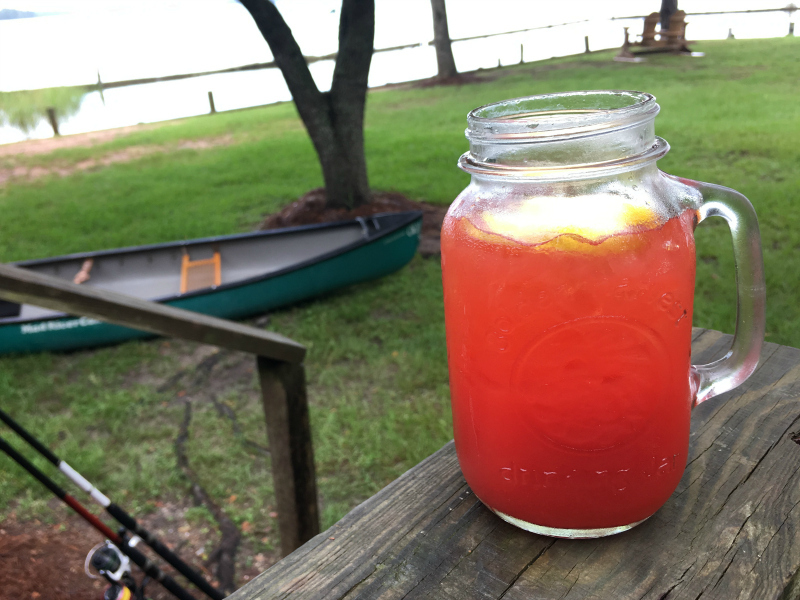 There are five ingredients in the Alabama Slammer cocktail. 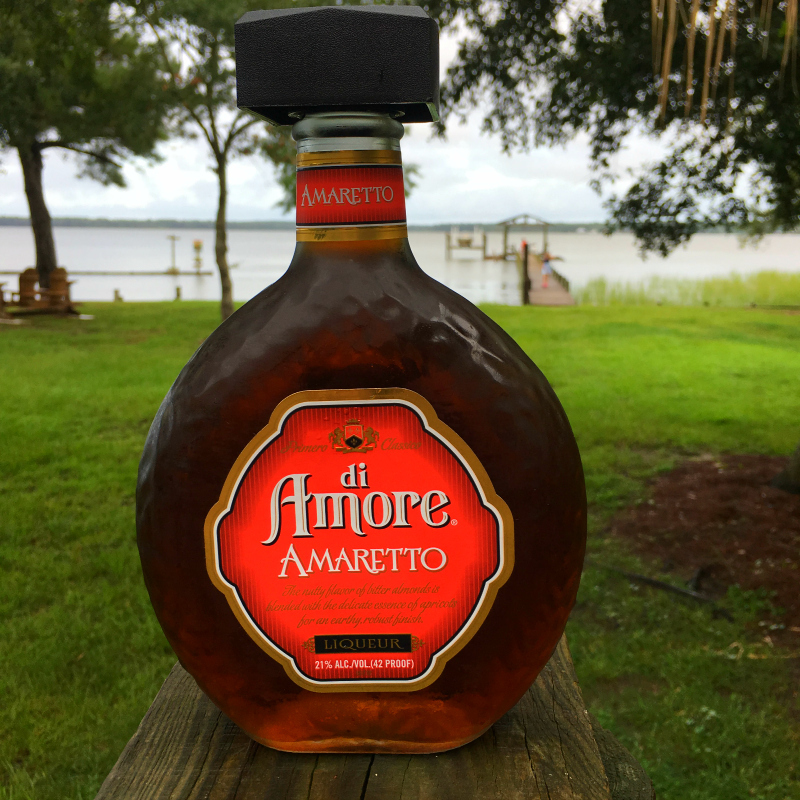 Amaretto – any brand will do. 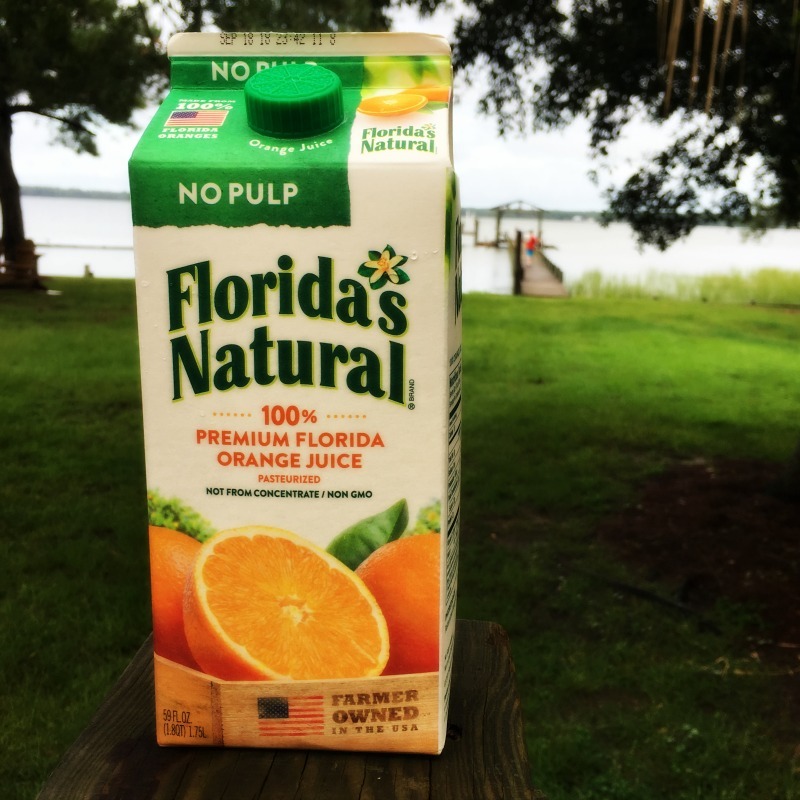 Orange juice – nothing but pulp-free for me, thank you very much. 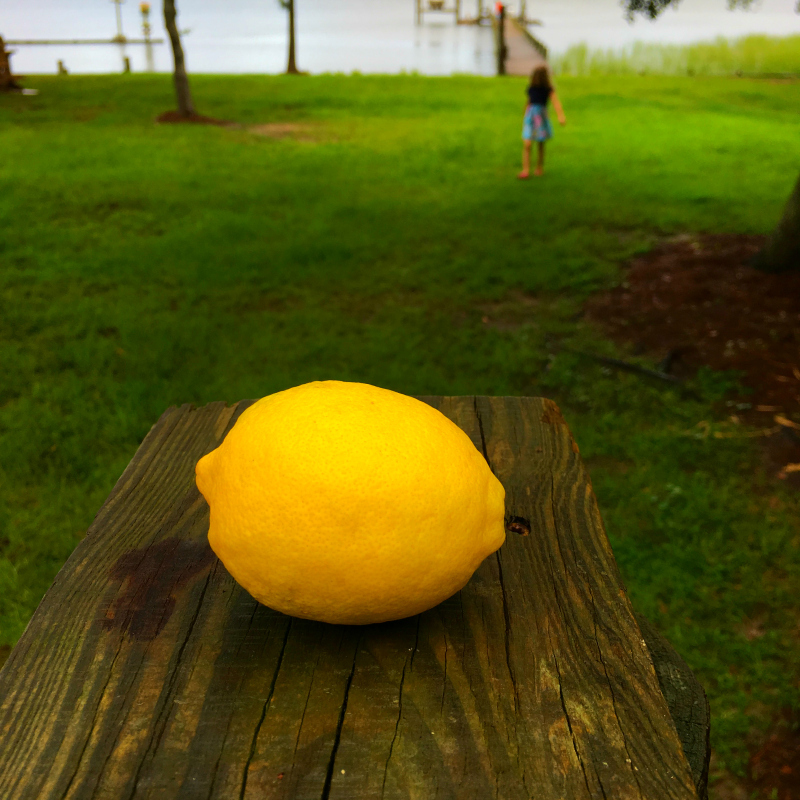 Lemon juice – I always use fresh lemons if I have them but you could substitute bottled lemon juice in a pinch. And Sloe Gin. 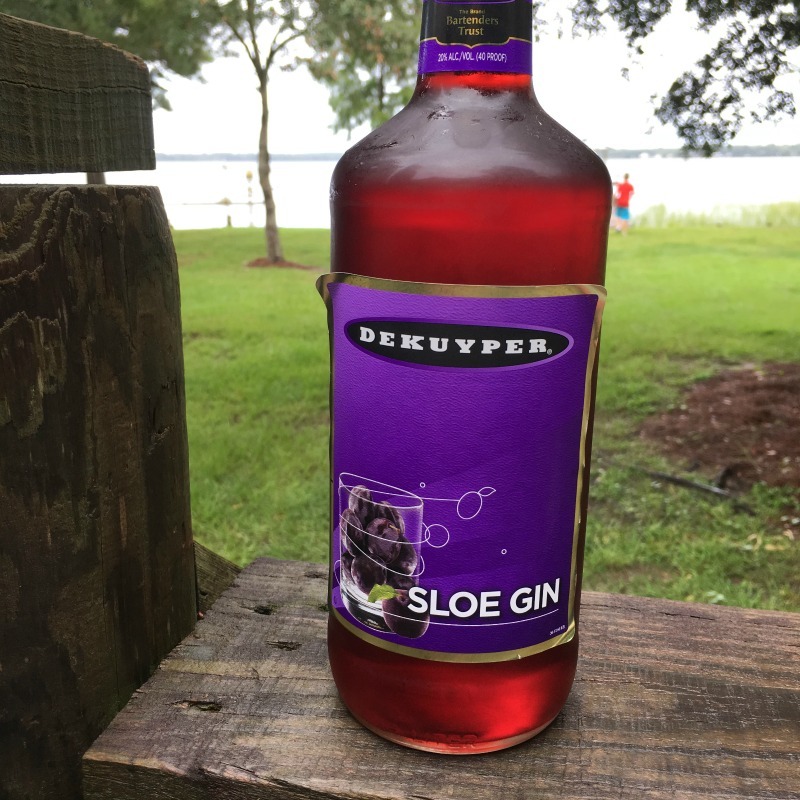 Heads up: it can be tricky to find Sloe Gin and there really is no substitute for this recipe IMHO. Stir, add ice to fill ‘er up and garnish with a slice or two of lemon. 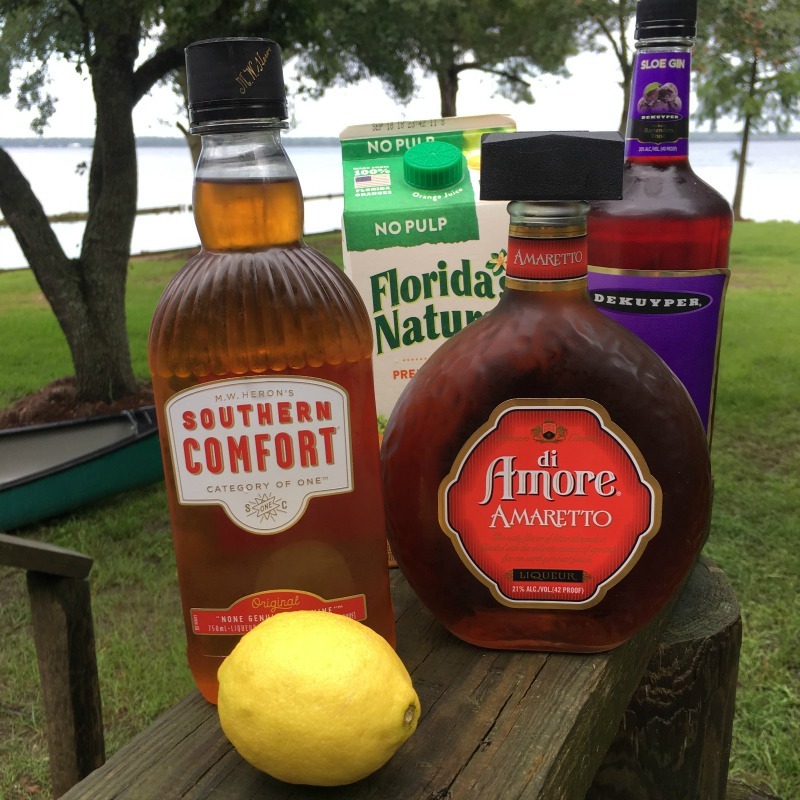 It’s SO EASY to mix an Alabama Slammer! How quaint to drink my Alabama Slammer out of a mason jar cup! I say “equal parts” because this Alabama cabin has limited equipment. In the absence of a shot glass or measuring cup of any sort, I used a plastic cup and a crayon to mark a measuring line for quality control purposes! I estimate it was about 1 to 1 1/2 ounces which, multiplied by 3, sounds like a lot but Sloe Gin is not very strong. You could stick to an ounce or I suppose you could divide this recipe into two. I won’t, but you could! 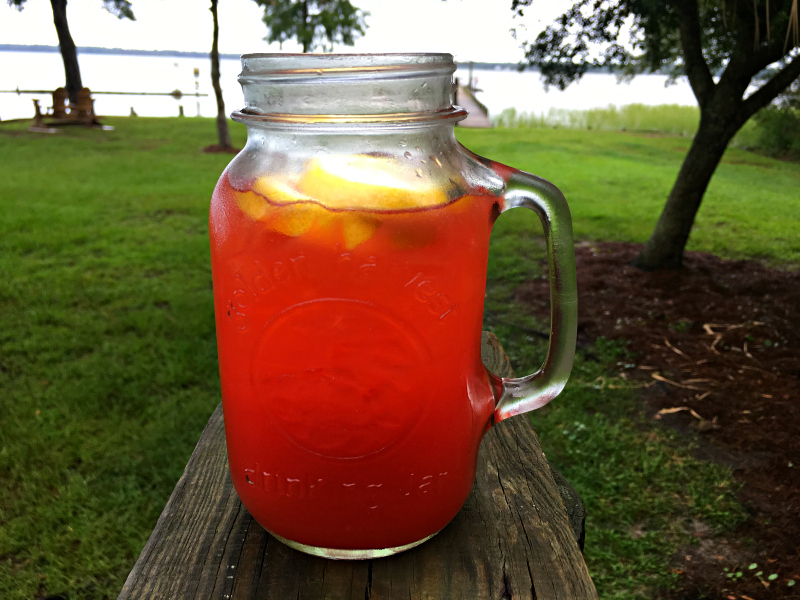 The Alabama Slammer is a pretty drink! Such a nice colour! I did not try making this into a pitcher but I think it would be fairly easy to up-size it into pitcher format by keeping the equal proportions of Southern Comfort, Amaretto, Sloe Gin and orange juice and adding extra lemon juice. I can’t imagine anyone complaining if you showed up with a pitcher of Alabama Slammer! 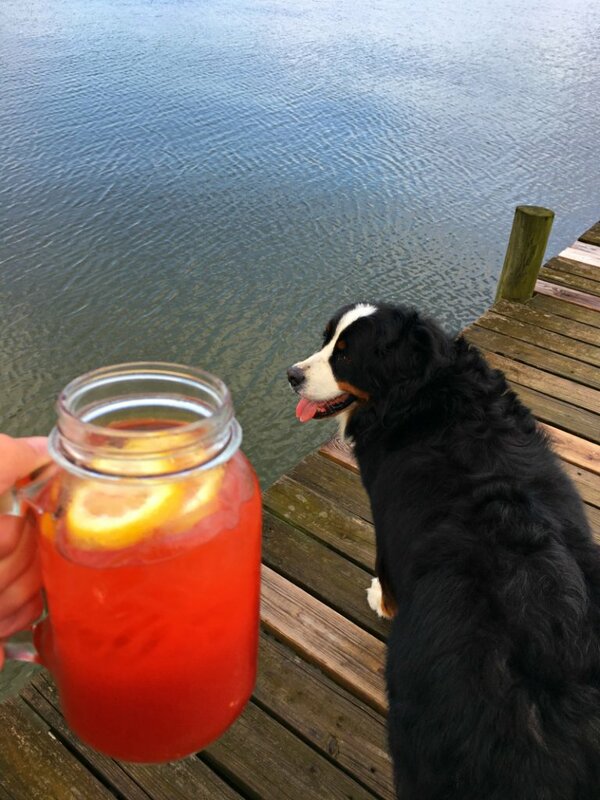 I took my Alabama Slammer out to the dock with my trusty companion by my side! Then I sat down and sipped it while reading my book! It was the perfect afternoon. 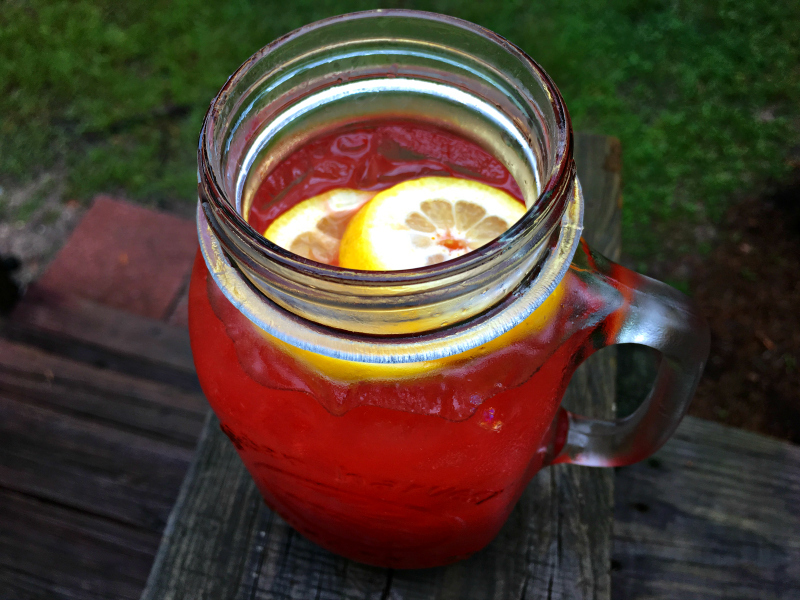 The Alabama Slammer is sweet and refreshing. I can see why Alabama needs a cocktail like this for its hot summer days. That’s not to say you can’t drink it unless you’re in Alabama or the South! Give it a try wherever you are and let me know what you think! As always, be sure to enjoy your cocktails responsibly!